Today's article by Stewart Bell in the National Post, "Terrorist says health will suffer if deported," brings back a host of bad memories. 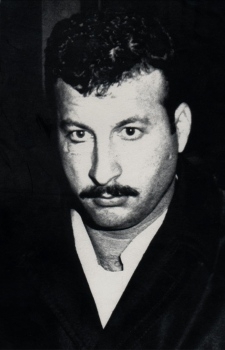 A 1968 photo of Mahmoud Mohammad Issa Mohammad, 27, after his terrorist operation. The terrorist is question is Mahmoud Mohammad Issa Mohammad, 61. He joined the Popular Front for the Liberation of Palestine in about 1968. In December of that year, he and another terrorist attacked an El Al Boeing 707 in Athens as it was readying for takeoff. The two assaulted the aircraft with 83 rounds of ammunition and 6 grenades, killing one passenger. Convicted and sentenced by a Greek court in March 1970 to 17 years in prison, Mohammad was released later that year, when six Palestinian terrorists hijacked a Greek airliner and threatened to blow it up unless he was freed. Mohammad slipped off to Cyprus, Spain, and finally - with his wife, Fadia, and three children – he reached Canada as a landed immigrant on Feb. 25, 1987. A year later, the Canadian government realized that he had lied on his immigration application about never having been convicted of a crime. In December, 1988, he was judged unfit to remain in Canada and was to be deported. Mohammad gamed the system, however, and applied for refugee status. His claim was rejected but he held off deportation by appealing one decision after another against him. He currently lives in Brantford, Ontario. I entered the picture in March 1994, when (along with Steven Emerson) I testified in Toronto about Mohammad on behalf of the Department of Justice at one of his many judicial proceedings. To support the case that he could be deported to Lebanon without jeopardy to his precious person, I wrote a nearly ten-thousand-word report giving background on the situation in Lebanon generally and for Palestinians. As usual, the government won this round. As usual, too, this did little good. Over a decade later, Mohammad is still battling to stay in Canada, now listing a near-endless number of alleged infirmities (diabetes, heart disease, high cholesterol, chronic prostatitis, reactive depression, diabetic neuropathy, migraines, kidney disease, and hepatitis B) to justify his staying in the country. The terrorist, his doctor assures us, must take ASA, Losec, Naprosyn, Lipitor, Rivotril, Vasotec, Elavil, Nitrodur, Atenolol, Norvasc and Insulin. Not only that, but the poor man requires monthly check-ups and visits a cardiologist and endocrinologist every six months to manage his diabetes and heart disease. His lawyer, Barbara Jackman, concludes that "restrictions on access to medical care would be cruel and unusual." This particular round of his interminable deportation goes to trial on Oct. 14. Bell writes that the Mohammad case "is often cited as evidence that Canada's refugee system is hopelessly flawed," and it is no wonder. He quotes James Bissett, former head of the Canadian Immigration Service, referring to the Mohammad case as "atrocious. … a powerful example of the fact that we've completely lost control of who can enter Canada." There was an error in procedure but I can't say what it is. Another officer will be looking at the case. And, of course, the timing I can't speculate because it does take time. All individuals are entitled to due process and it's that due process that takes time. Comment: At this point, the Mohammad case has degenerated into farce. It might be funny if he were not a convicted murderer. July 5, 2006 update: "Mahmoud Mohammad Issa Mohammad turns 64 in two weeks," reads a news report by Barbara Brown in the Hamilton Spectator, "and says he's too sick to be sent to Lebanon. And that could extend his fight for a place in Canada for years" – beyond the eighteen years his case has already been underway. Anna Pape, a spokesperson for the Canadian Border Services Agency, said no decision has been made regarding the new risk assessment. She said if Citizenship and Immigration Canada determines after a second review that removing Mohammad from Canada would be an acceptable risk, the convicted hijacker can still appeal that decision in the federal court. And if that appeal failed, he would have the option to seek a stay of the removal order. In other words, it's quite conceivable that one of the longest, most controversial deportation proceedings in Canadian history could wind up lasting 20 years or more. "It's difficult to comment on the uniqueness of this case," said Pape. "What is clear is that due process of law has to be fully exhausted before removal from Canada of non-Canadians can be carried out." Pape said the border service agency is committed to the removal of all foreign nationals who are deemed inadmissible to Canada, "especially those with a history of serious criminality or who pose a threat to national security." May 11, 2008 update: Another two years gone by and still no progress on deporting Mahmoud Mohammad Issa Mohammad, now 65 years old. The Calgary Herald reports he still lives in Brantford, Ontario, that he allegedly suffers from "diabetes, heart disease, high cholesterol, prostatitis, reactive depression, diabetic neuropathy, migraines, kidney disease and hepatitis B"; and that he is but one of 63,000 illegal immigrants under orders to leave Canada, of whom the whereabouts of 41,000 are unknown to the Canada Border Services Agency. July 16, 2008 update: The Edmonton Sun provides a bit more color on Mohammad's life in Brantford, where he lives in a modest semi-detached bungalow, the only home he has known since arriving in Canada in 1987 with his wife and three young children. "Now a grandfather, his two adult daughters and son have put down roots of their own." Mohammad remains unrepentant. "I was a freedom fighter — not a terrorist. I was fighting Israel, the enemy." He stresses his quiet life in Canada over the past 21 years: "My record in Canada is clean, clear and good." He is also resolute in his intention to stay in Canada: "I'll fight to the last moment. I am not going to give up." Asked about efforts to deport him, the spokesman for Immigration Canada, Lonny Kates, would not disclose any information about Mohammad's case, citing privacy. Kates would confirm, however, that no decision has been made yet concerning Mohammad's removal from Canada. Aug. 19, 2008 update: "Once home to inventor Alexander Graham Bell and hockey great Wayne Gretzky," begins a Fox News Channel report, "the small Canadian city of Brantford is now home to a terrorist — and the Canadian government might not do anything about it." When confronted by Fox News, Mohammad said: "You have many sources to know what you want to know, but don't ask me anything." Asked whether he regretted his crime, he would not answer. "[It's] not your business. [It's] not your business. This is not your business," came the reply. These days, Mohammad tends the fruit trees in his back yard (see the picture). Despite calling himself a "freedom fighter," rather than a terrorist his neighbors are unfazed. "No, I'm not concerned," says Gayle Cunningham, who lives near Mohammad. "Maybe I should be. Should I be? I don't know." May 13, 2013 update: Immigration Minister Jason Kenney announced today that Mohammad, now 70, was yesterday deported by a charter aircraft to Lebanon. "He is a convicted terrorist and killer. He tried to hijack a plane, he threw grenades and fired live rounds at innocent civilians. … He lied about his identity [to get into Canada], he lied about not having a criminal past, he lied about not having ties to criminal organizations. … If you're a convicted terrorist you don't get to come to Canada because you pose a security risk." Kenney described the over quarter-century round of appeals as an "almost a comedy of errors." Jason Kenney, Canada's minister of Citizenship, Immigration and Multiculturalism. Kenney said the Canada Border Service Agency had planned to deport Mohammad two weeks ago, but he reported health problems and was taken to hospital. When he was finally deported Sunday, it was aboard a charter plane equipped with medical equipment in case something went wrong en route, Kenney said. … Though he is not a Lebanese citizen, Mohammad has "standing" in that country and had married a Lebanese woman, Kenney said. Lebanon agreed to allow him to return, but did not provide any assurances about his treatment, Kenney said, noting that it is "not a requirement." Under current immigration laws brought in by the Conservatives, Kenney said someone in Mohammad's situation would be allowed to file one appeal, and then would be "subject to removal." Comments: (1) I am delighted to have been even a tiny part of this process nineteen years ago. (2) Better yet, I spoke this evening for the Free Thinking Film Society at the Library & Archives Canada in Ottawa and had the pleasure of announcing Mohammad's deportation, to a hearty applause. (3) Will Mohammad, like Samir Kuntar, get a hero's welcome in Lebanon? 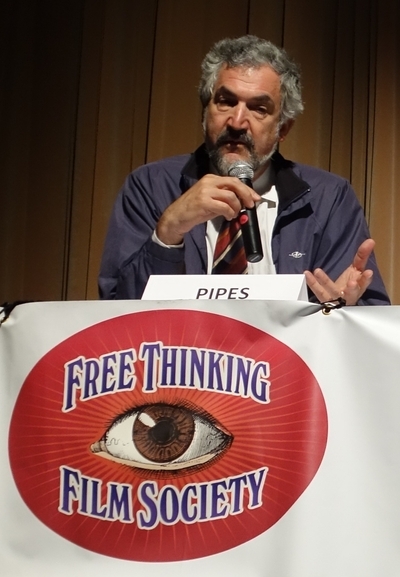 Announcing Mohammad's deportation at a Free Thinking Film Society in Ottawa.